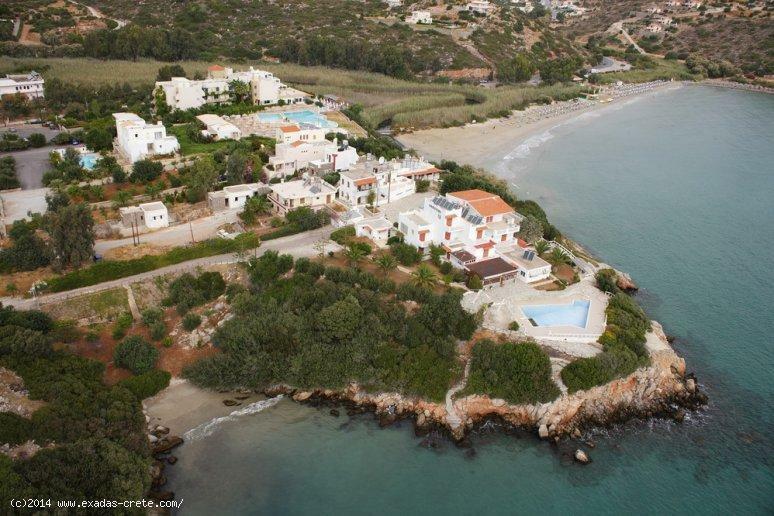 Villa Akrotiri occupies a cape on the coast of the Gulf of Mirabello near to Agios Nikolaos. This unique location allows you to enjoy a manificent view of the sea from any point of the spacious mansion. 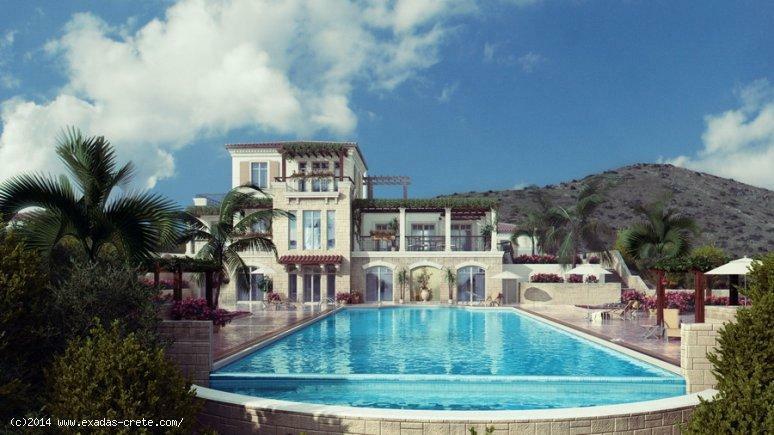 Villa Akrotiri is designed in French style. 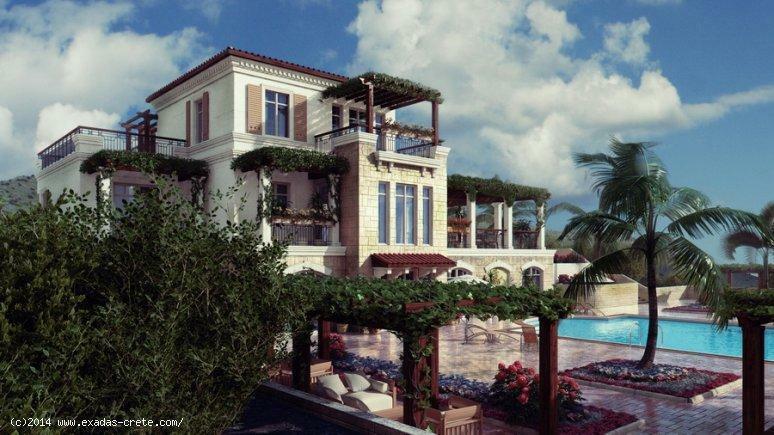 The luxury of Cote d'Azur has been transferred to the ancient land of Crete. The surrounding park in has wonderful flower gardens and fountains. The swimming pool is situated at the very edge of the cliff. For the most spectacular sea view together with luxurious morning swim. 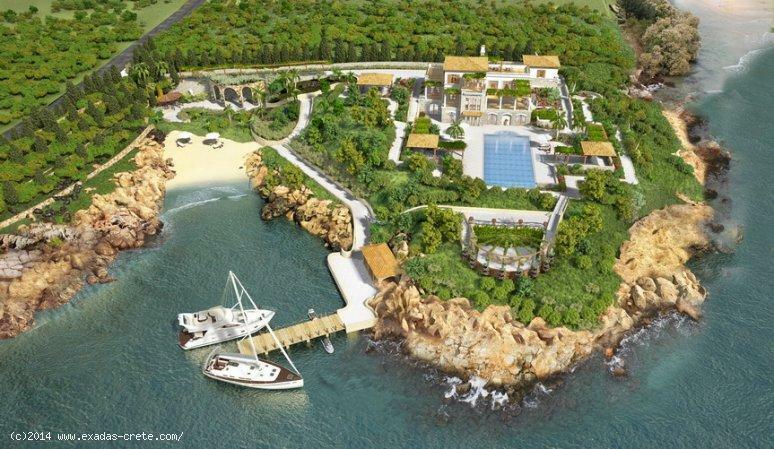 Your personal pier will always be ready to invite the yachts of your friends. 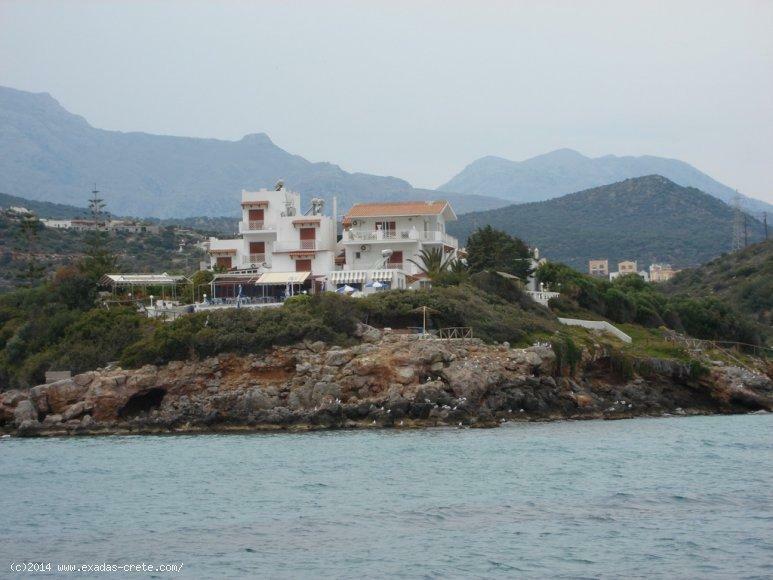 A small private bay with a sandy beach is what makes your villa a true gem, the most unique place of the coast of Crete.